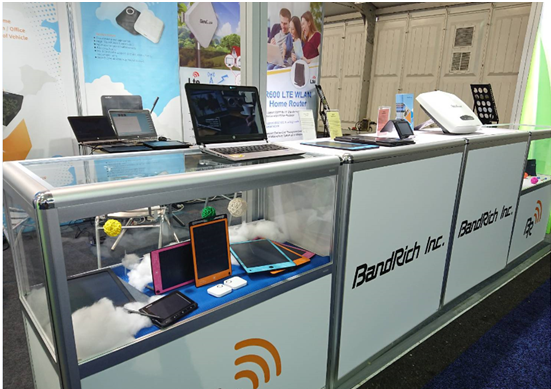 In addition to the industry's indoor / outdoor 4G LTE router, this year at CES BandRich exhibited new consumer electronic products that are closer to the average consumers life style. In order to reduce the waste of paper, BandRich launched the Green Board writing tablet. Green Board writing tablet is a completely environmental friendly tablet which allows school-age children, whether doing math, or drawing, never need to waste a single of paper. If you are looking for a tablet which can do a little more than just writing tablet, Writfun W300 is going to meet your needs. 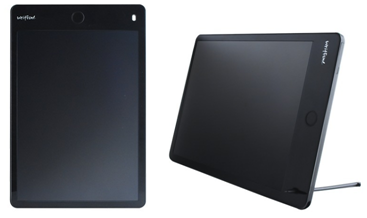 In addition to saving paper, used as a memo pad as Green Board, Writfun W300 is design for professional users, and use it as a graphic tablet with the 11.4 inch LCD screen which is unique on the mid range to low-end graphic tablets market, presenting the real time drawing on Writfun W300. Other than that, the exclusive APP sync up mobile and Writfun W300 via Bluetooth, sync up PC via WiFi to display wireless synchronization handwriting scenario. As for business people, BandRich introduces a wireless signature pad - Writfun W120. Writfun W120 is a 4.7 inch portable size LCD signature pad, which is also available to sync up mobile and PC through Bluetooth/USB connection thus achieve wireless synchronization handwriting scenario. Both Writfun W300 and W120 are able to share writing or sketches on social media APPs to your friends, and upload notes to cloud and share with colleagues, classmates and teachers. Enjoying the flexibility in personal life, school, or work! Consider our majority iPhone / iPad users always have problems for running out of memory capacity of on their iphone, and that’s over expensive and sometimes it is unnecessary to purchase a new phone in order to expend the memory. Well, that’s why BandRich launched Bandluxe M100, a wireless mobile storage to solve this problem. Bandluxe M100 APP is special designed for files managing and transmission. People are allowed to backup, share, and download pictures, music, documents through WiFi from Bandluxe M100 at the same time, which is much more convenient than downloading from cloud. A perfect relationship bounding tool for personal use or office files transmission.